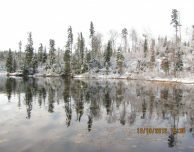 It was a couple of days before our fall Moose hunt was to start and I don’t think anyone was surprised to wake up to a foot of snow in Northern Ontario Canada as we were here at Nestor Falls Fly-In Outposts. 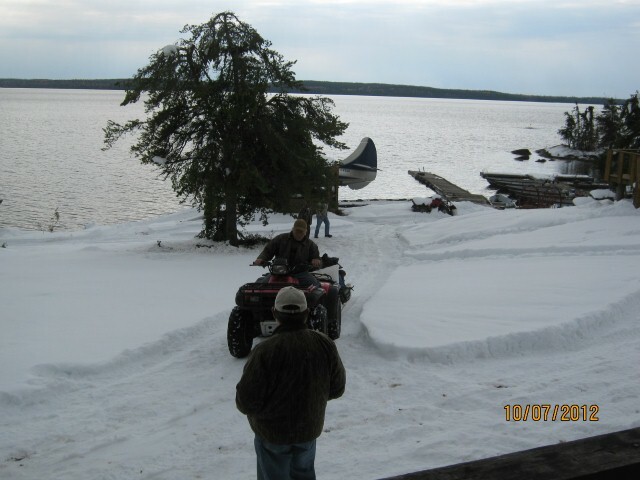 Arriving at camp was made easier as we hauled up gear from the dock up to the cabins on the four wheeler through the snow. Everyone arrived pumped and excited to start the hunt the next day. Spending enough time in the bush, especially in prime hunting areas, and you’re bound to hit the jackpot every now and then. 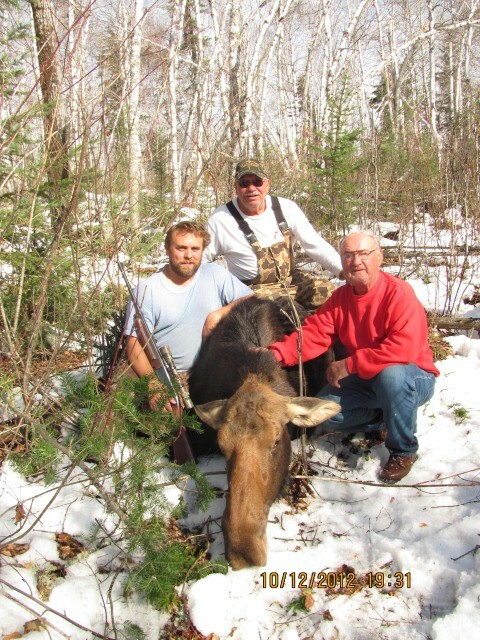 Larry and his hunting partner Greg counted 17 Moose while out hunting last fall. 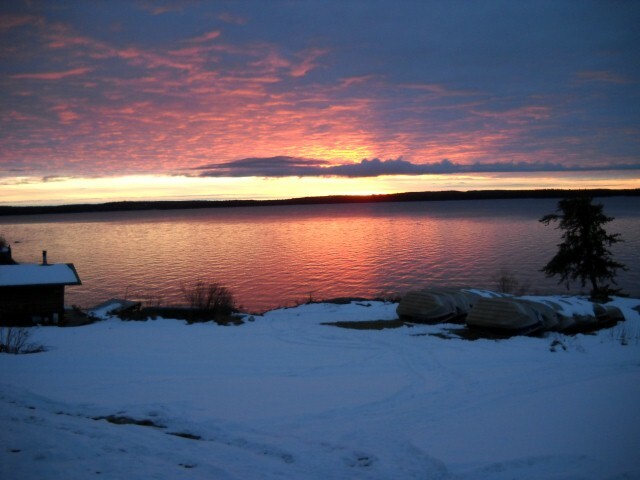 Another sound, had registered by the sharp snap of a twig behind the screen of alders that crowded the edge of the Marsh and there stood Larry’s bull. Two days later his partner Greg bags his calf. It took Albert and his Guide Dave several minutes to make their way through the bush to where they found his Cow. The day before his hunting partner Duce shot his Bull Moose. 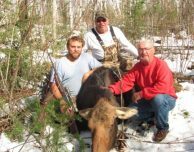 Next morning a mature 50 inch Bull is standing in a bay with another smaller Bull and a Cow. 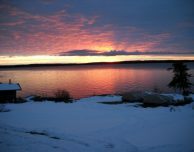 The mornings stillness was broken by a loud crack of rifle fire. 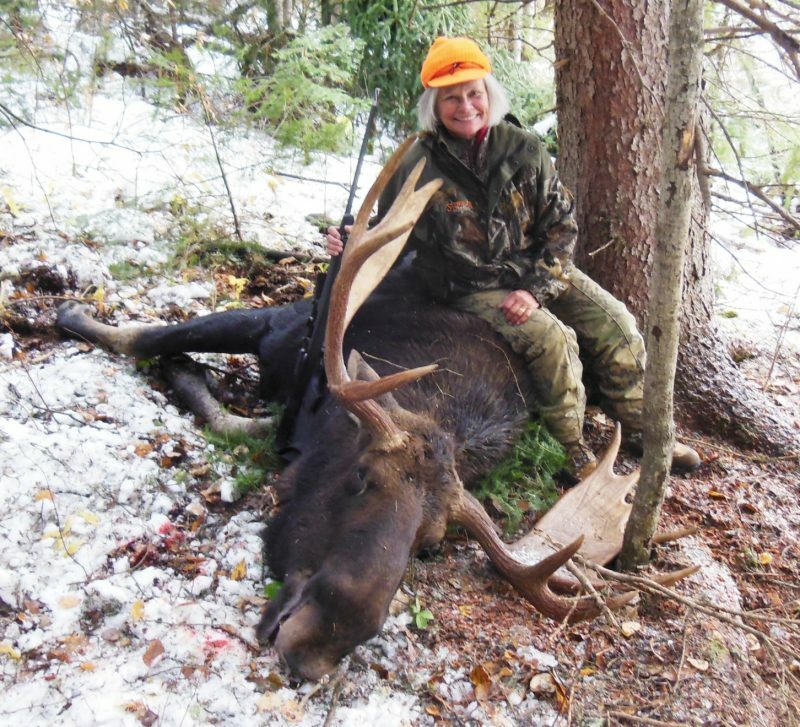 Quickly taking the shoot at 225 yards using a 306 model 700 Remington Sandy gets her Trophy. 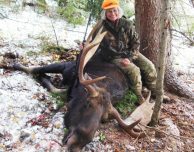 Last morning out Guide Bill and hunter Trish saw a 60” Bull Moose but he was out of range. Nestor Falls Fly-In Outposts does all there Moose hunting in Management Area 2. Having adult Bull and Cow tags. 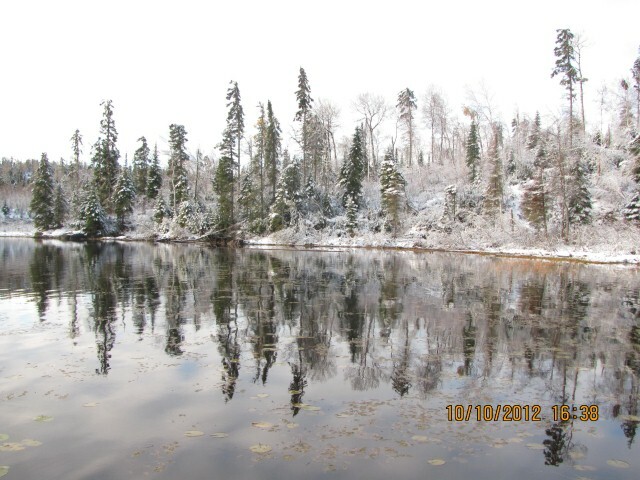 We are now reserving for October 2013 and 2014.